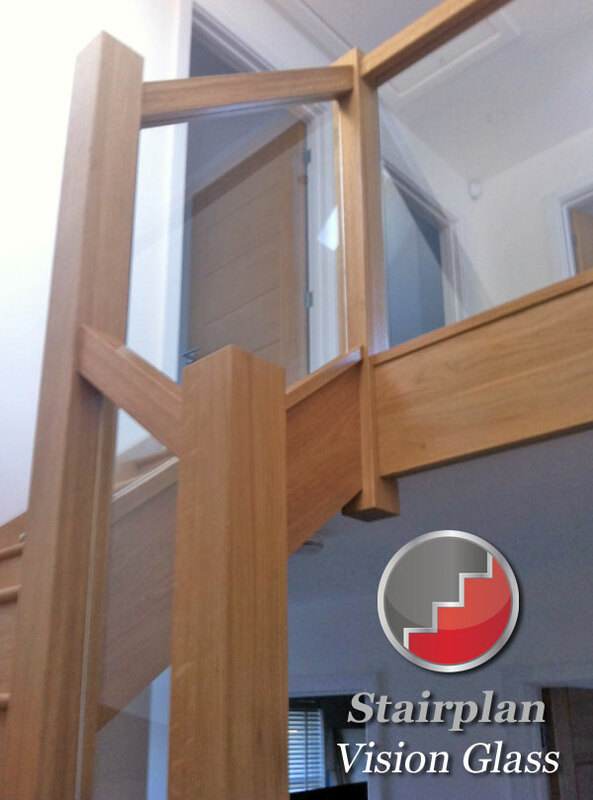 White Oak square newel post and handrail sections, if this is the staircase design you are looking for request - Oak Closed staircase and the balustrade is Vision Glass "No Brackets"
This Staircase is a Oak Double winder staircase, the Oak is Stairplans select grade. 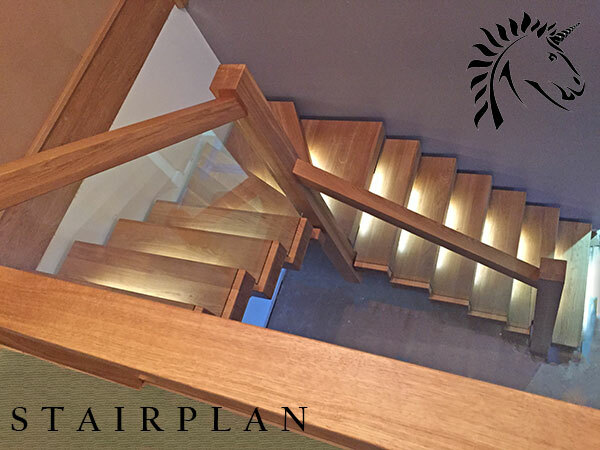 The Stair Layout code for this staircase is S3W31W33N it is a Right hand Staircase and the Entry Step is a Bullnose Step. 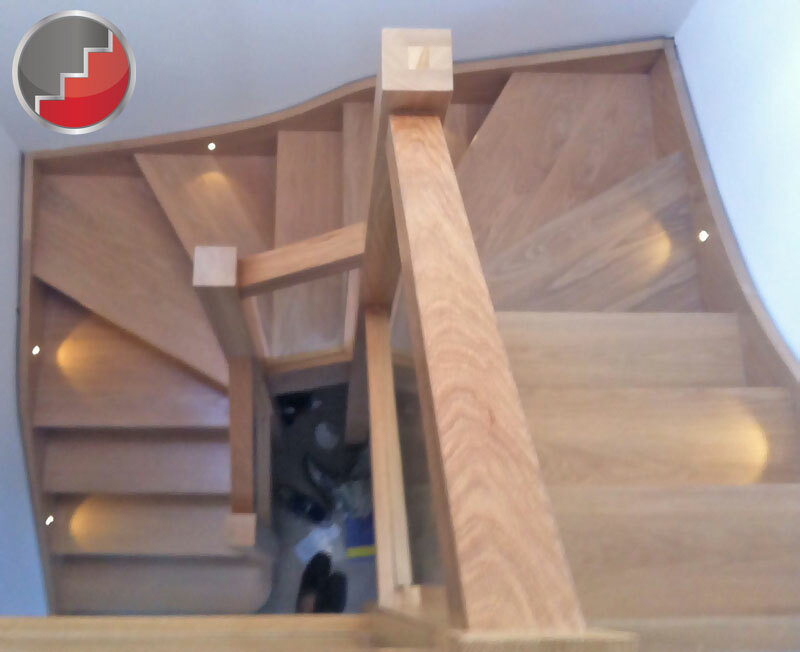 Shown here with the optional stair well lining. 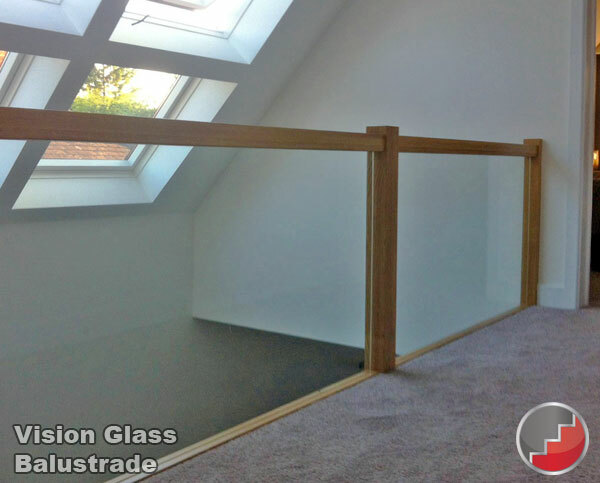 These photo's have been taken onsite by a smart phone so I appologise for the quality of the images, to see the quality of this system I would advise visiting our showroom in Telford. 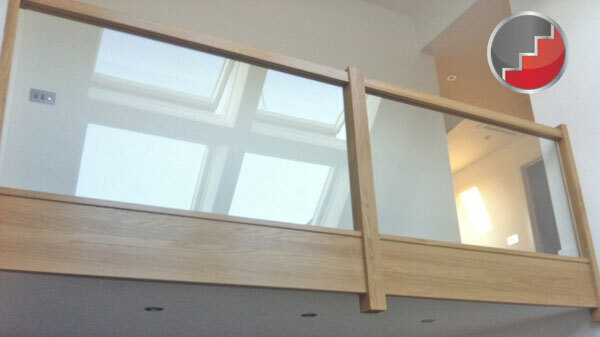 Above you can see a photo of our Recessed Vision Glass balustrade on our new Preston Oak Staircase. 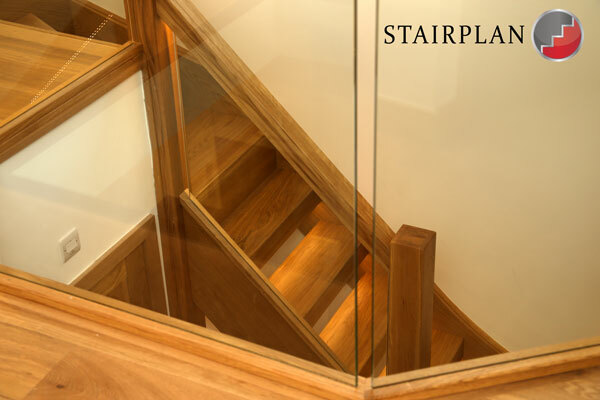 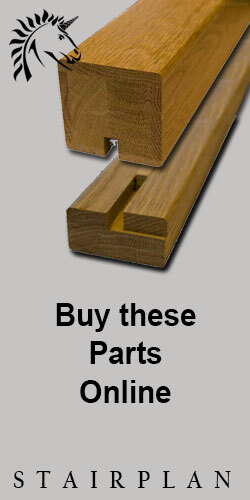 Our Townsend staircases are also available with the recessed Glass Balustrade panels. 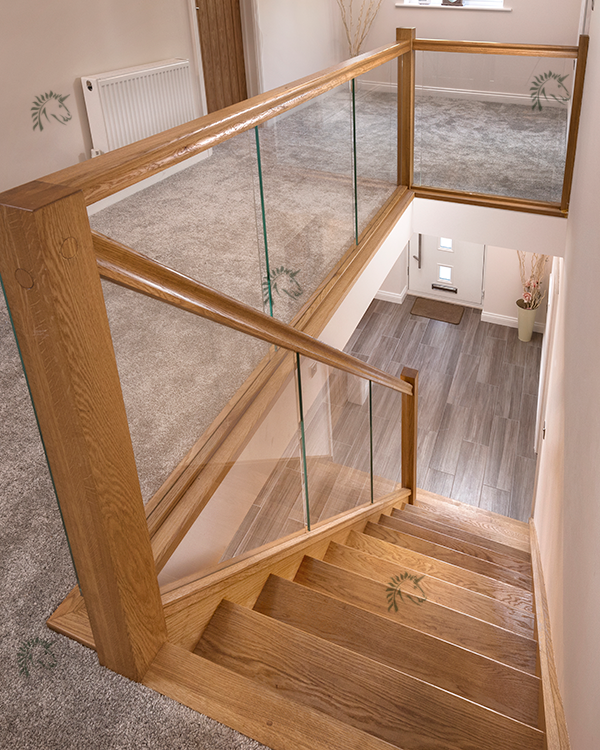 The Townsend range features larger handrail and newel post sections over that used in the Vision Glass balustrade ranges. 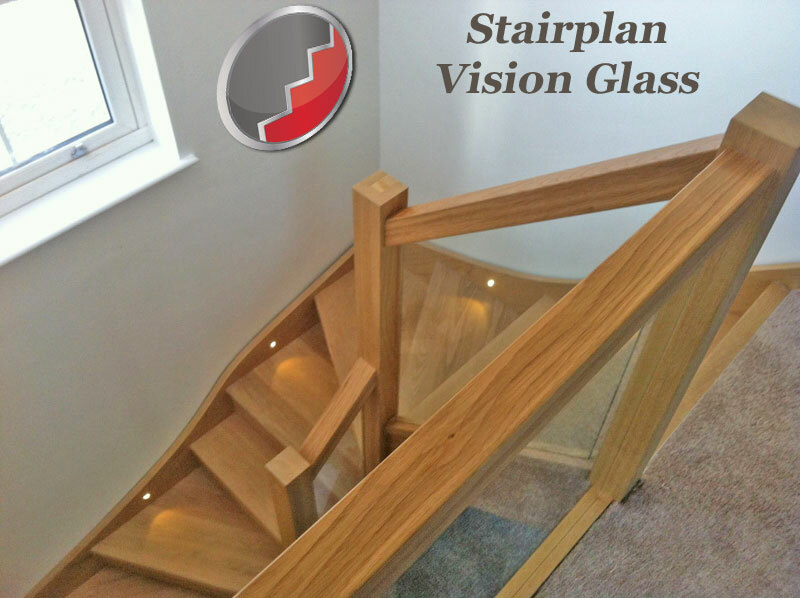 Above you can see a oak X-Vision staircase with the optional LED lights and the glass option with the glass set into the stair treads.